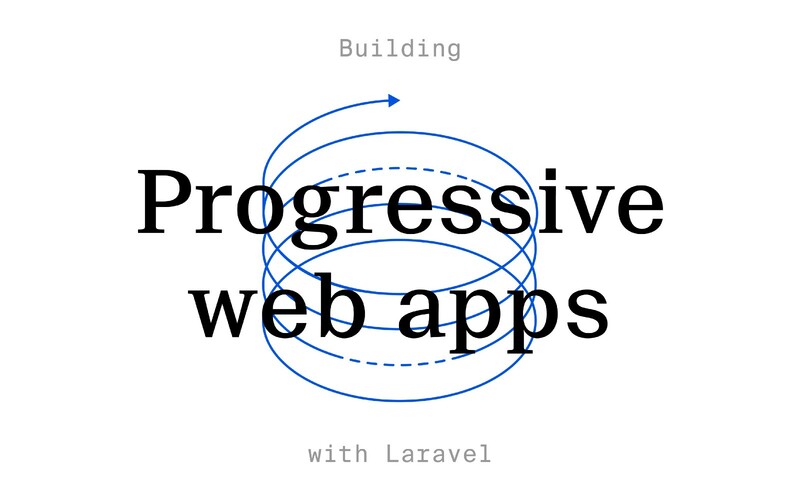 Progressive Web Apps or PWAs are the it thing in web development at the moment. Why wouldn’t it be? The promise of a website behaving like a native app, without all the hassles. PWAs allow you to “install” your website on the user’s home screen, work without an internet connection and even send push notifications to users. You can also cache everything to your heart’s content, including API calls with IndexedDB. I’ll run you through the simple setup I used to get things going rather quickly with Laravel 5.4. To view service worker information in browser when testing, open up devtools and hit the application tab in Chrome. What do I need for a PWA? Firstly you’re going to want to run npm install --save-dev sw-precache-webpack-plugin. This package uses sw-precache to generate our service worker. If you’re worried about losing control, don’t worry - you can use the importScripts option to include any custom logic that you need. Service Workers provide us with the black magic that we want. You can read more about them here. To store information from API calls, I used localforage. It’s a nice little library to interact with IndexedDB or WebSQL. So once you’ve got sw-precache-webpack-plugin installed, it’s time to customize our Laravel project. The sw-precache package is pretty well documented, so I won’t go into too much depth. I will give a quick rundown of some of the options seen above. staticFileGlobs: The files that we want cached. runtimeCaching: Allows us to save 3rd party libraries in cache. importScripts: This includes our custom logic to the generated service worker. That’s it! When compiling your assets, the service-worker.js should show up in your public folder. short_name: The name shown on the homescreen of the mobile device. name: The name shown on the install banner/popup. background_color: The color that is shown just before you app launches. orientation: Enforces the orientation to be used. start_url: The default page to load when our app launches. display: ‘standalone’ or ‘browser’, where browser adds an address bar. icons: These are the images for our apps icon on the homescreen. Catering for most screen sizes. These are just a few of the options that are available to you. This snippet will check for service worker and push notification support and if true, it will load our service worker file. This is basically all you need to get the PWA behaviour. The rest is up to you to customize and configure based on requirements. The documentation will provide you with all the finer details that you’ll need. When testing with devtools I found that sometimes I had to open and close it to see the latest changes. There is the option on Service Workers in the Application tab, that let’s you update on reload. localhost is treated as secure (https). This is worth noting when testing on mobile devices. The secure path created with ngrok didn’t work. You’ll have to connect your mobile device with a USB cable to Chrome. The settings are under devtools More tools -> Remote Devices. This is the quickest way to get started and seeing PWA behaviour in action with Laravel. I didn’t want to go through the finer details as it’ll be cumbersome writing about all the possible issues you might encounter. If you do find yourself stuck on something, refer to the documentation, it really is your best friend. This blog was originally published on https://justmegareth.com/2017-07-15-progressive-web-app-in-laravel/ and has been republished with the permission of the author. Gareth is a web developer and blogger based in Cape Town, South Africa. He works for io.co.za where he dabbles mainly in Laravel and Vue and often builds custom CMS applications. Like most developers he loves to learn, but beyond that, he also loves to document his process of learning to help others navigate the maze and learn new and useful things about web development.